I have not seen a royal be this enthusiastic about work since the Queen helped out during WWII. 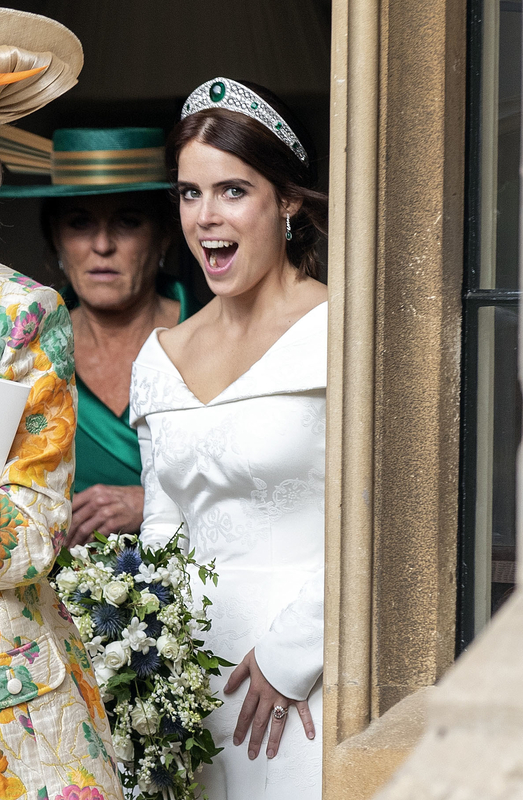 Princess Eugenie — cousin of Princes William, Harry and George — got married yesterday and I have just regained consciousness after her sheer beauty knocked me out cold. Have you ever seen a bride beam as bright as this? Euge is ninth in line of succession to the British throne and she married some bloke who used to run a popular nightclub. The general public were kind of pissed that their big day, which was attended by 800 people including Kate Moss and Ricky Martin, cost the taxpayers about $3.7 million as she isn't a "working royal" like her cousins. In between charity gigs Eugenie works as a director of a London art gallery and her new husband, Jack Brooksbank, is a rep for that fancy tequila brand George Clooney founded. But some people (hi 🙋🏻‍♀️) are suckers for a royal wedding and loved the jewels and Princess Charlotte as a flower girl. My favourite part though was seeing Prince Andrew earn his keep. 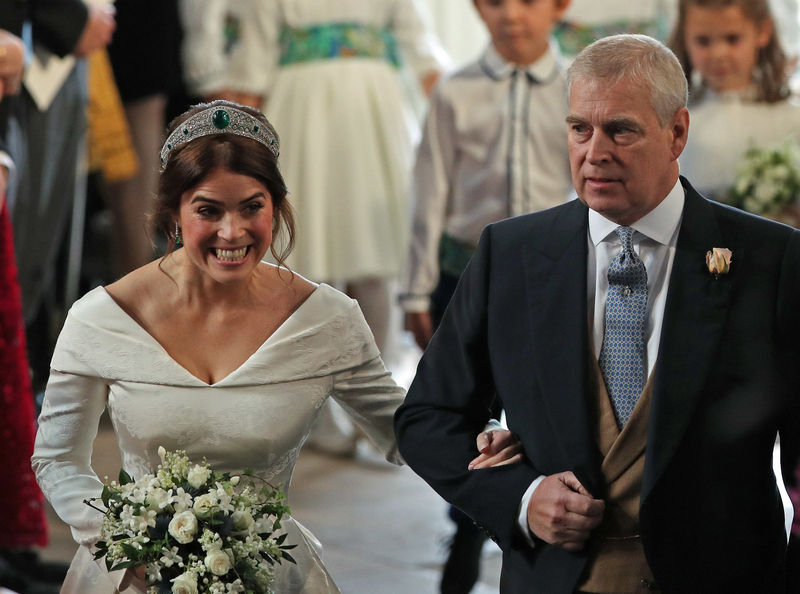 Not only did the Duke of York do a great job as father of the bride-slash-unofficial bridesmaid but he appeared more enthusiastic than a fashion intern at Vogue. He could not stop fixing, fluffing and fussing over Eugenie's Peter Pilotto dress. Even as the couple were leaving their reception hours later, Old Mate was still on "watch my train" duty. Look at that level of concentration. And look at the furrowed brow as all that silk, cotton and viscose blend jacquard is crumpled into a ridiculously small Aston Martin coupe.